Font Emboss, 3D Effect, Animated Effect Using Google Font API can be achieved with real fonts neither graphical elements nor any CSS usage. Here is how. You can read our other tutorials on font effect like Pressed text effect with Photoshop and CSS, Highlight, add pressed effects to certain words in your WordPress blog, Handwritten Text Effect and Style, Highlight text in WordPress post with css rounded border effect, Creating Drop caps effect with large capital letter like magazine with CSS. These are helpful to create creative things with the API – light weight but realistic Font Emboss, 3D Effect, Animated Effects. Inline CSS actually not good if used site wide. But for one post it will not matter. The Customize Windows Test Google Fonts. We can add Multiple Shadow or anything. Here CSS was used to call that reference. It is your wish ! This Article Has Been Shared 8613 Times! 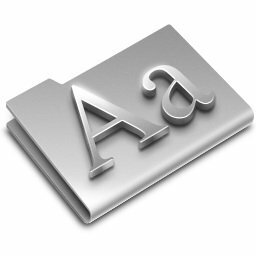 Cite this article as: Abhishek Ghosh, "Font Emboss, 3D Effect, Animated Effect Using Google Font API," in The Customize Windows, October 17, 2012, April 23, 2019, https://thecustomizewindows.com/2012/10/font-emboss-3d-effect-animated-effect-using-google-font-api/.